Is this island worth visiting? 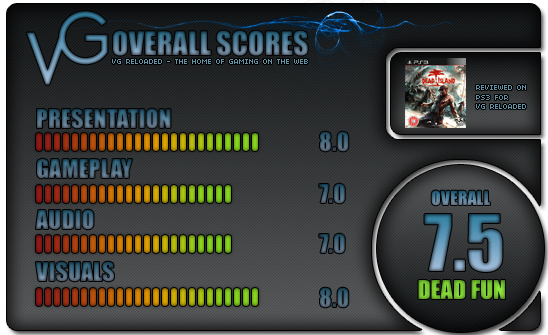 Dead Island is a game that has divided opinion so far. Some see it as a great zombie-fest on a tropical island, while others see it as dated and moronic. So what’s the real conclusion? It’s somewhere in-between. The game is set on the island of Banoi and the opening cutscene sees you wander through a nightclub drunk before the outbreak of the zombie virus, the story is your typical zombie-fare so don’t go expecting anything groundbreaking here, but it’s still fairly good. You play as either 1 of 4 clichéd characters as you accept quests to gain XP and money to buy/repair/upgrade your weapons. 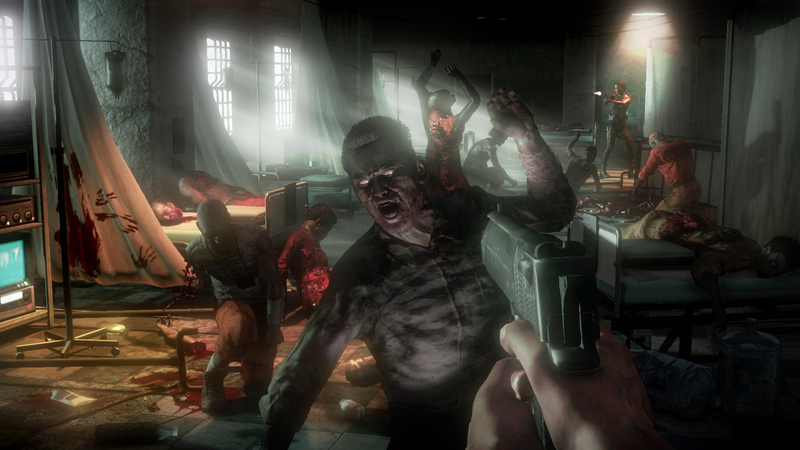 Each character has an advantage from melee weapons to guns, but all weapons deteriorate quickly, usually leaving you with just your fists to fight off the zombies that rush towards you. 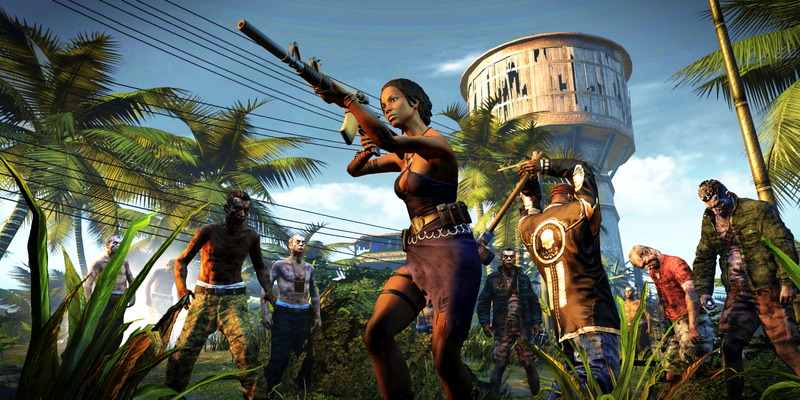 Dead Island is a game that is best played with other players as it can be pretty difficult on your own. Quests vary from rescuing people under attack to fetch and carry objectives. There are dozens of side-missions that open up, some of which will need doing before you can continue the main plot. Combat can be pretty awkward at times; this is no Left 4 Dead in that regard. Zombies can overwhelm and throw you to the floor or grab you, which can be a real pain. You can get some decent weapons, but it’s expensive to maintain them. You do get a Rage meter to help you unleash pain to a good number of zombies, but it’s only temporary. Gathering XP will level you up, so you can pick and choose which areas you would like to be more efficient in as in any RPG, but this does require you to do a lot of quests to get your character to a decent level. This wouldn’t be so bad if they were a bit more varied and not predictable. The problem is that it’s nothing that hasn’t been done before, and done better. Dead Island is flawed in its design, but it’s still a fun game to play…even though it can be frustrating at times. In terms of presentation, Dead Island is a good looking game…despite a few bugs with the review code I had, which should be fixed by the time you are reading this. The letdown has to be the character models which are average, but Banoi itself is nice to look at. Voice-acting is ridiculous as you would expect, but the music matches the atmosphere quite well. Dead Island doesn’t quite live upto expectations and it’s not going to take the Zombie Crown from Left 4 Dead, but it does provide a solid adventure on a tropical island that is enjoyable, if you can overlook the dated design and awkward combat.